Get ready for a crafty Christmas with the largest craft event in Scotland at the SECC this October! Christmas is coming early to Glasgow’s SECC from the 22nd until the 25th of October 2015, with over 150 exhibitors showcasing their exclusive range of bespoke and unusual gifts, including glass, jewellery, art, candles, ceramics, clothing and so much more. Crafts for Christmas and Stitching, Sewing & Hobbycrafts come together with a brand new layout for Glasgow. Visitors can enjoy two shows for the price of one and the largest craft event of its kind in Scotland with more stands than ever before and a greater number of exciting craft suppliers. With more space to enjoy browsing and chatting with fellow craft enthusiasts, visitors will find plenty of ideas and supplies for their craft projects, from papercraft to sewing, knitting and mixed media to jewellery making and much more. Enthusiasts can also enjoy a host of inspiring free workshops and demonstrations from talented industry experts. With something for seasoned hobbyists and those new to the world of craft, workshops and demonstrations will equip visitors with exciting ideas to try and bring to life the latest trends. The show will feature the world’s largest knitted Christmas tree – standing at 25 feet. Created by knitter extraordinaire Alison Murray and her volunteer team of 700 knitters, the Christmas tree which has appeared in Vogue Knitting in America, is making its Scottish debut at Crafts for Christmas alongside the Giant Knitted Gingerbread House. The festive theme continues with food, drink and a Christmas product showcase available to help visitors kick start their shopping. A range of the finest wines, spirits, handmade cakes and luxury cheeses, chocolates and confectionary are sure to tickle the taste buds while innovative gifts will be presented by exhibitors. Crafts for Christmas is sure to sprinkle a little festive magic and help visitors find gifts for those tricky to buy for family and friends. 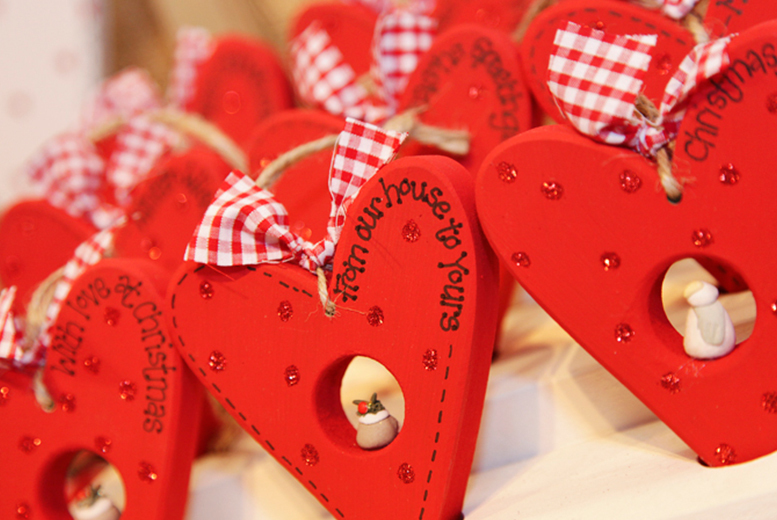 For those who like a handmade Christmas, there will be plenty to inspire presents and decorations for the home with exhibitors stocked up with festive supplies. Visitors will be inspired to turn their gift wrapping into works of art with ideas from the Scottish School of 3D Decoupage. Demonstrations will cover shaping, feathering and layering techniques as well as tips on how to make beautiful unique cards too. Crafts for Christmas offers the best of both worlds with the added benefit of the award-winning creative craft show: Stitching, Sewing & Hobbycrafts. Bringing together the very best of creative craft and offering visitors the opportunity to speak directly to exhibitors for advice and ideas and the opportunity to discover the latest innovations and supplies on the market. With plenty of free Make & Take sessions and talks and demonstrations each day of the show. Crafts for Christmas and the Stitching, Sewing & Hobbycrafts shows are the perfect destination for a beautiful handmade Christmas.